The holiday season is in full swing in my new home. Our gorgeous Christmas Tree is up, and I am ready to get my holiday entertaining underway. There is way more space in our new home which makes having guests over a breeze. 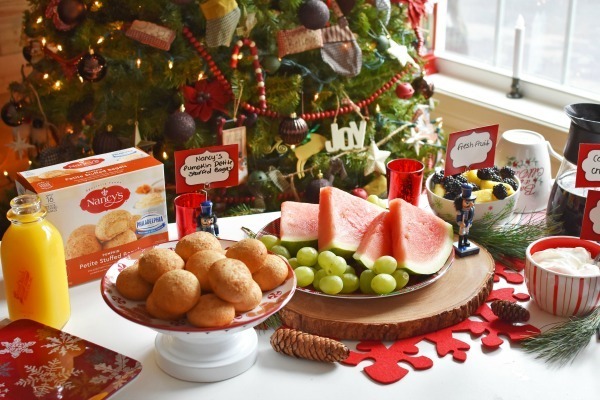 I especially cannot wait to host a holiday brunch for my friends and family. 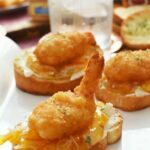 Brunch is my favorite meal on the weekends because it allows me to enjoy my favorite breakfast staples for lunch. 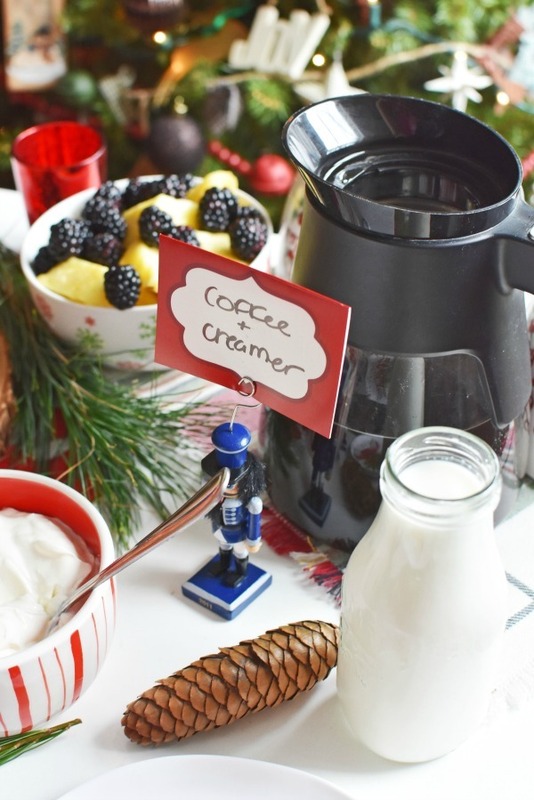 Our brunches always feature milk, juice, and coffee as beverages so that everyone can enjoy a refreshment. 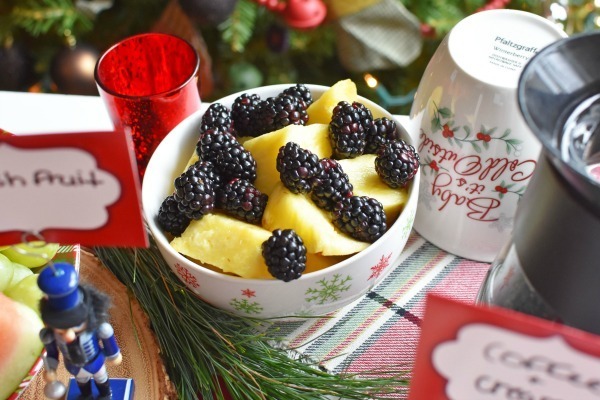 Fresh fruit like chunked pineapple, fresh blackberries, grapes, and watermelon are some of my favorites. 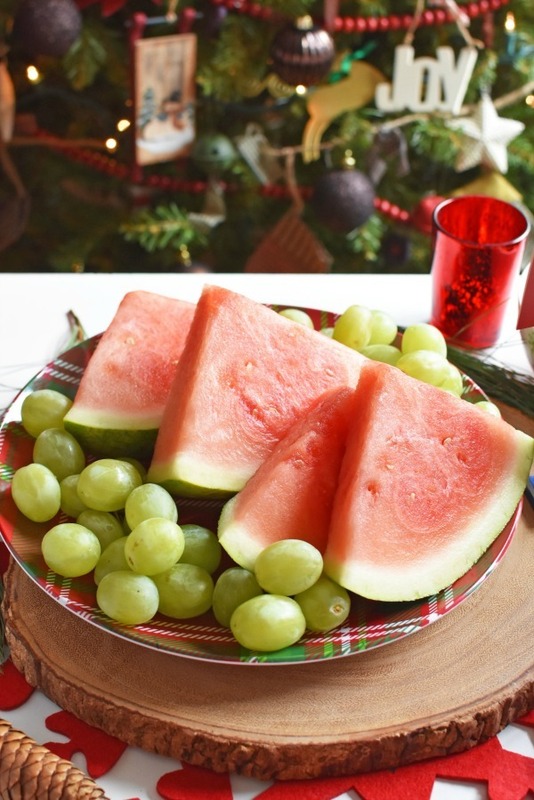 Greek yogurt provides a refreshing protein that complements the fruit perfectly. Typically, we always have some sort of carb whether it be bagels, or toast. 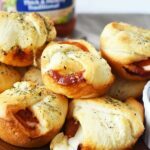 Since toasting bagels and bread can get messy and time consuming, I have the perfect new solution that is so incredibly scrumptious! 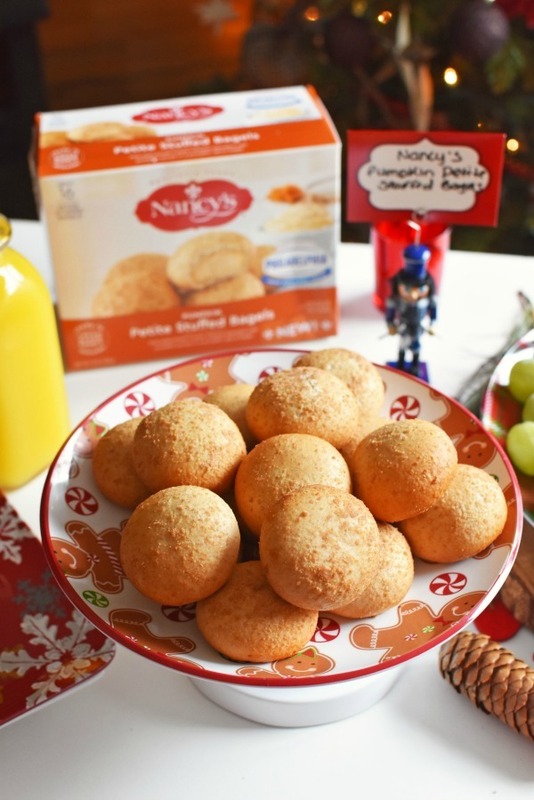 NANCY’S Pumpkin Petite Stuffed Bagels are a must-have addition to your holiday brunch setting! 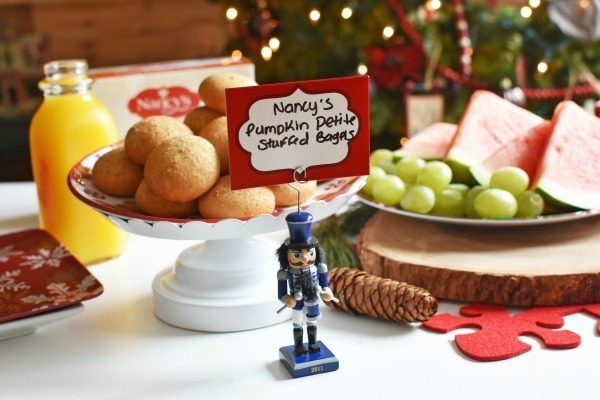 These cloud-soft bagels are found in your grocer’s freezer (NANCY’S Pumpkin Petite Stuffed Bagels available at Walmart, other flavors are at retailers nationwide). 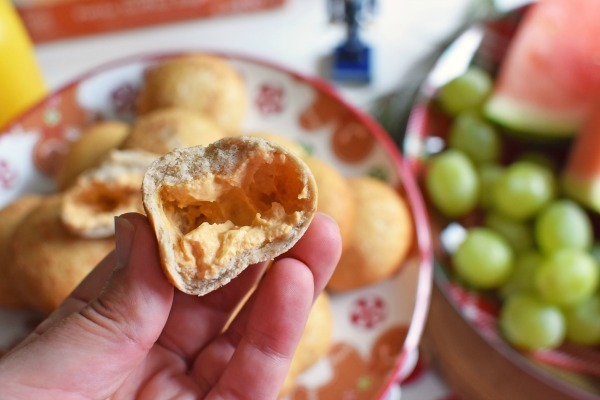 These bite-sized bagels can be heated in the oven, or microwave, and contain a creamy center. Each pumpkin-spice flavored bagel is filled with PHILADELPHIA Cream Cheese and pumpkin puree. Check out how yummy the center truly is! 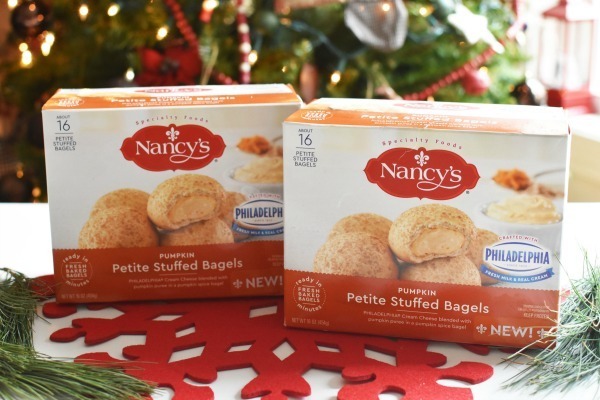 I love NANCY’S Pumpkin Petite Stuffed Bagels and know these, or any of their current flavors would be ideal for a holiday brunch! 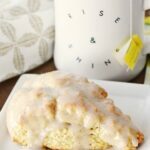 Actually, they are ideal for weekday breakfasts too! 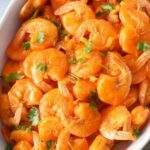 My kids LOVE them, and I love how quick and easy they are to prepare. Setting the brunch table near the tree. Adding soft holiday music to the background. 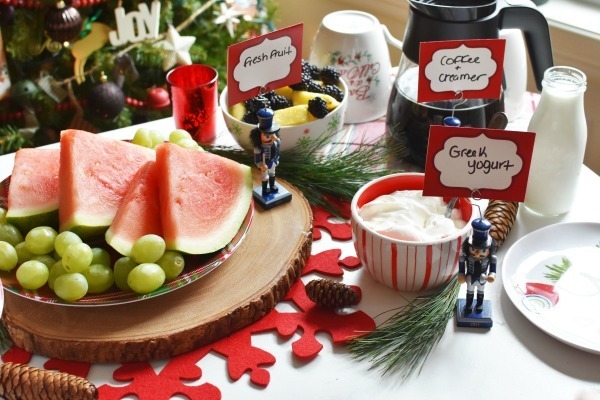 Featuring holiday nutcracker place card holders to label your brunch foods. Putting out holiday mugs, & napkins. 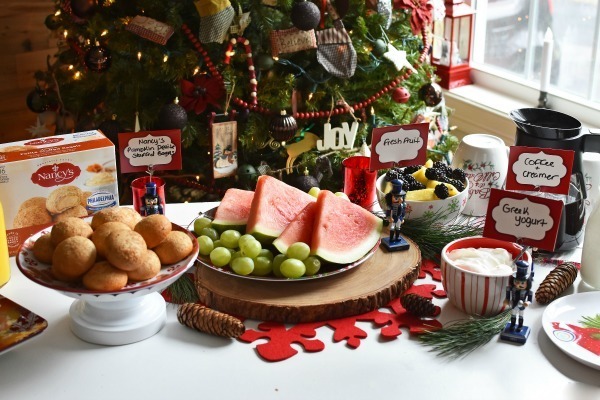 Using an assortment of holiday plates, platters, and trays to display your foods. 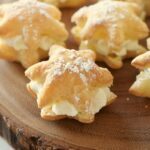 What are some holiday brunch ideas you would add to our post?